Sydney is known for nightlife, trails, beaches, parks, and museums. 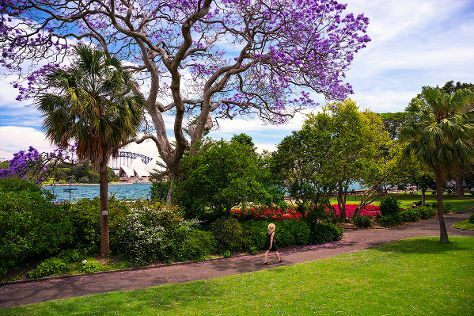 Your plan includes some of its best attractions: take a stroll through The Rocks, examine the collection at Australian National Maritime Museum, make a trip to Sydney Harbour Bridge, and admire the natural beauty at Royal Botanic Garden Sydney. To see reviews, maps, where to stay, and more tourist information, go to the Sydney trip itinerary maker tool . If you are flying in from United Kingdom, the closest major airport is Sydney Kingsford Smith International Airport. In September, daytime highs in Sydney are 25°C, while nighttime lows are 14°C. Wrap up your sightseeing on the 20th (Fri) early enough to travel back home.